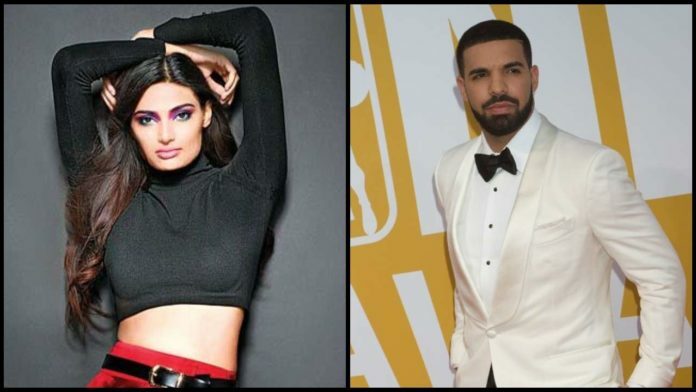 American rapper Drake shared a very special birthday wish for the Bollywood actor Athiya Shetty on 26th birthday on social media on Tuesday. The American rapper has left the fans wondering what actually is going on in between the two. 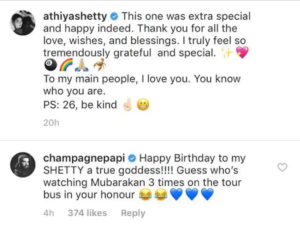 While in a comment, Drake called Athiya ‘My Shetty’ and a ‘goddess. This is not the first time Drake has commented on Athiya Shetty’s photos. Last year, he has commented “Legend” on a photo of Athiya and her father Suniel Shetty. Currently, Athiya is shooting with Nawazuddin Siddiqui for the movie ‘Motichoor Chaknachoor’.